Later, Johann Abt was promised by Carlo Abarth that he could drive a factory car for free if he won all the races he entered—which Abt nearly did, winning 29 of 30, the 30th being a second. 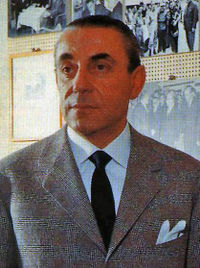 Along with its racing cars, Abarth produced high-performance exhaust pipes. Later, Abarth diversified in producing various tuning kits for road vehicles, mainly for Fiat. 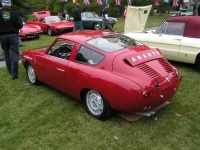 Abarth was also associated in producing sports or racing cars with Porsche and Simca. In 2007 Fiat Automobiles SpA relaunched the brand with the Grande Punto Abarth and the Grande Punto Abarth S2000. The brand is to be seen as a separate division to the main Fiat brand in a similar way that the Renault Sport brand is to the mainstream Renault. 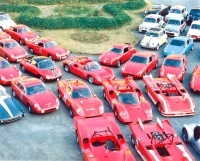 It is based in the Officine 83, part of the old Mirafiori engineering plant. After years of sports competing on the continent, competition organisers announced the launch of a new Abarth 500 GB series for 2010. The competition was to represent a new high profile sponsored race series, which was staged at Oulton Park, Cheshire, on 3–5 April 2010. Building on the success of its namesake Italian and European series, the GB competition brought together a plethora of driver-talent from across the British Isles; including no less than four female entrants in Vicki Butler-Henderson, Fiona Leggate, Sarah Franklin and Cassey Watson. The GB series was developed by the competitors for the competitors; by the sponsors for the sponsors, and by the fans for the fans. All Abarth Asetto Corse cars are built in Turin, Italy, and are checked to the highest standards. They are also subject to a shakedown and test at the Fiat Group proving ground in Balocco.